Also on the LitLovers list are Those Wild Rabbits, by Bruce Munday (reviewed for Honest History by John Myrtle), The Catch, by Honest History distinguished supporter, Anna Clark (extract here), The Art of Time Travel, by Honest History distinguished supporter and Canberra launcher of The Honest History Book, Tom Griffiths (reviewed for Honest History by Diane Bell), Into the Heart of Tasmania, by Rebe Taylor (reviewed for Honest History by Tjanara Goreng Goreng), and an essay ‘In the dark’ by Tory Shepherd from Griffith Review 55: State of Hope (about South Australia, this issue was reviewed for Honest History by Marian Quartly). 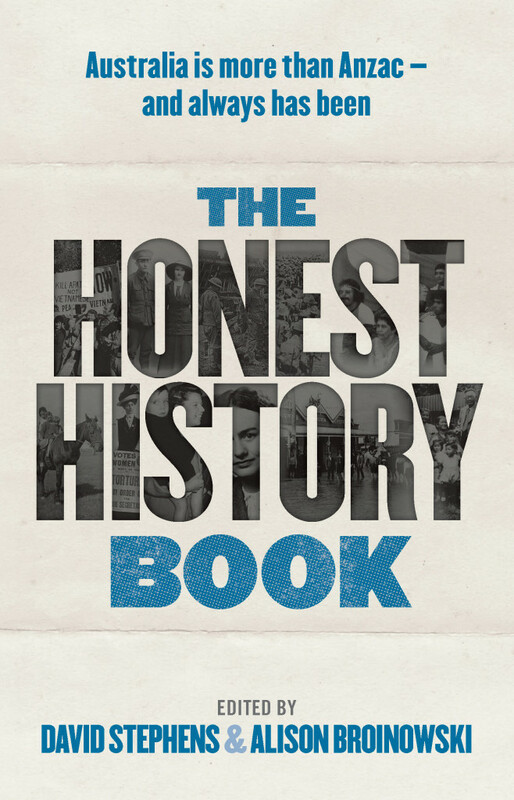 Lisa also likes book covers and the cover of The Honest History Book was one of six that took her fancy. We like it, as well, and a lot of effort went into it. Thanks to NewSouth editor, Emma Driver, and cover designer, Blue Cork.